Fruitless Pursuits: Sci-Fi / Fantasy News! Here are some of the interesting stories/things that came up this week in the world of Sci-Fi/Fantasy. Discussion and speculation under the cut. 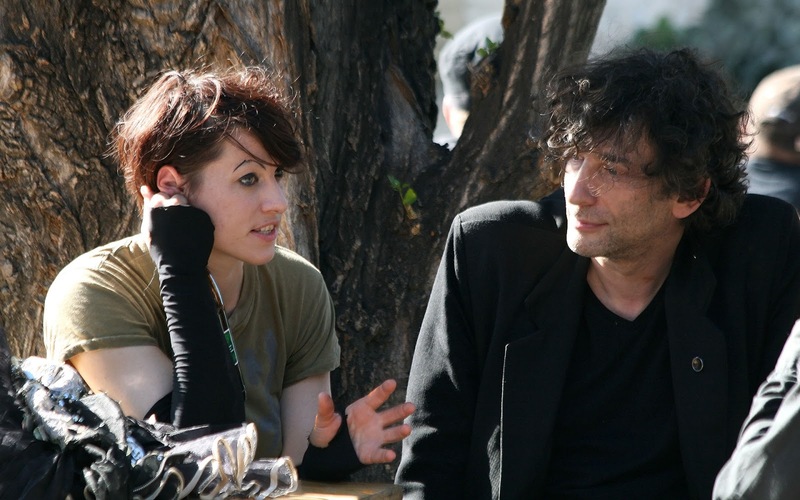 Neil Gaiman is an inspiration. Yes, his books are fantastic and he can write for children and adults alike, but it’s his communication of art and his heartfelt exploration of his ideas and fans that I really love. This new project was all about writing through interaction and in the process has developed an on-line community that is exchanging support, art and stories. It’s truly amazing to watch. If you get a chance, look at the #DecTale. But in private. Somewhere you can cry. Because it’s moving. So very many people’s stories of love, loss, regret, hope, looking forward and looking back. It’s going to be an interesting exercise picking prompts to write with and the process to follow where he will send the stories out for a call for art to go with the stories. Genius. There are already people who are asking to use the prompts for their own stories or to produce other art work. So if you want to get involved now is the time. Check his blog and the links for more details. I am certainly excited and invested in it. 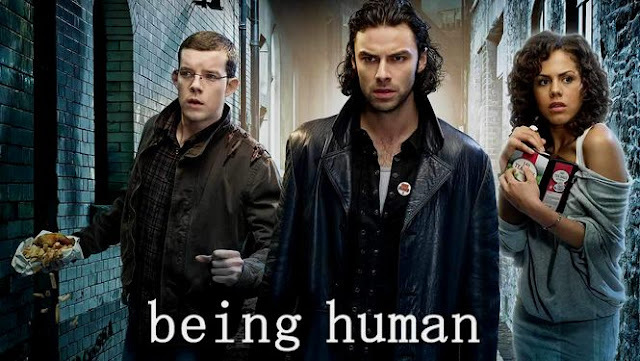 I’m really sad about Being Human ending. Not the US version, which I cannot watch due to loyalty to the original, but the UK version. It has been a dark and warm and interesting ride and I am looking forward to reviewing it all here soon. If you get the chance to check it out from the beginning, do. It’s a character driven story and not a huge time commitment. But be prepared for a combination of the extreme and unbelievable with the gritty and real. And be prepared to have your heart broken. Because they’ll break it. Ha ha ha. Oh George. 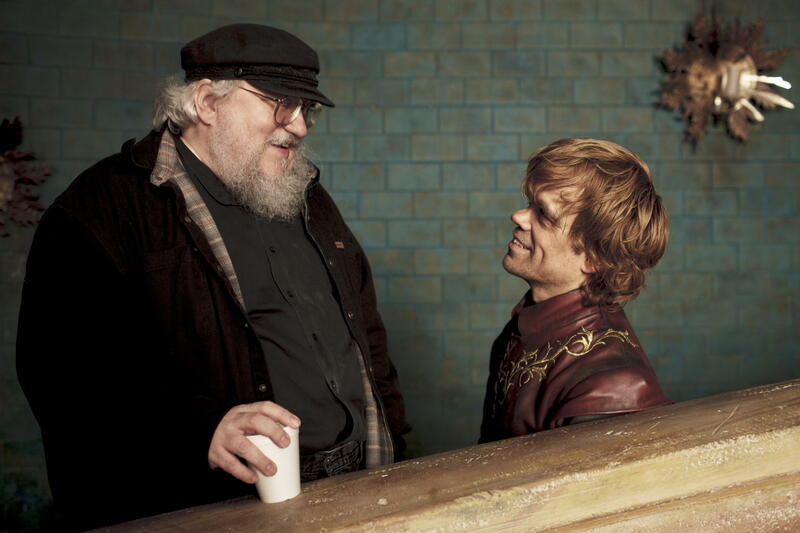 I say this because; EVERYONE KNOWS YOU DON’T ASK GEORGE R. R. MARTIN WHEN THE NEXT BOOK COMES OUT!! HE’S IN CHARGE OF KILLING CHARACTERS!!! But also because whether or not George R. R. Martin takes on a new project isn’t really our business. We might wish that he’d finish the story, but we are passionate because we love what he has done. People have indeed thought that the timelines on the show would impact on him writing the book… faster. 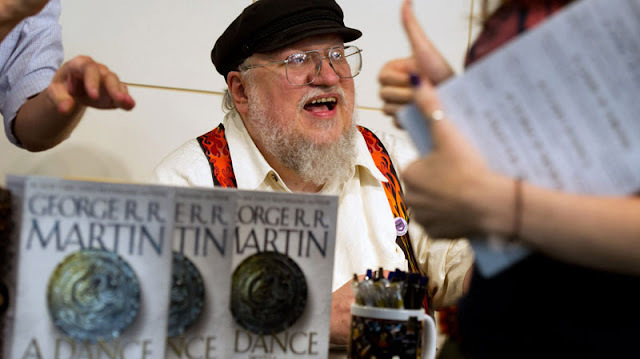 But all the plots and intricate details of the A Song of Ice and Fire series cannot be rushed. I wonder how he does it. And yes, I want more. But I want a good story and I really don’t want him to die before he completes what I think is one of the best fantasy stories of our time. And always remember… George can and will kill them all.